The big financial news here this quarter is that I got the major portion of my inheritance. Figuring out what to do with this windfall was what got me researching financial topics, and, eventually, writing this blog. However, in perusing financial blogs, it seems that all the cool kids update readers quarterly on their progress (or lack thereof). For some reason I'm not interested in putting exact (or even close) numbers about my net worth out here for anyone in the world to read. However, I will give you some information. This is the account we have with a finanical planner. It is invested in a diverse portfolio of mutual funds, and is up 1.2% for the quarter. We have not added any new money to this portfolio, as we pay the advisor a percent of assets under managment and right now, we aren't convinced this is the best place for our money. While most of this money is in IRAs, there is a taxable portion that, if we decide to move it, will be taxable, so that further discourages further investment until we decide whether or not to stay with the advisor. This is a major portion of our assets and is invested in a diverse mutual fund portfolio. About 35% of it is in a bond fund, 65% in four different stock funds. At the end of the quarter, the price appreciation was about 3%. I save 16% of my income and the firm gives me 5% of my pay. My husband saves 5% of his pay, and his company gives him 3%. It is a relatively small accout and is invested in a growth stock mutual fund. It grew about 1% this quarter. These are invested in Vanguard's 500 Index Admiral Fund. They are up about 1%. We are taking $1000 per month from our savings account and adding it to these accounts, the goal of maxing them out this year and next year. My inital foray into peer-to-peer lending was via Lending Club. I made an initial investment in July, added more money in August and then added even more in November, February and March. My initial investment was placed in conservative notes, aiming for safety rather than yield. I was more aggressive with the money I invested in August, November and February. In March, the money we put in was money for which we have plans within a few years, therefore I invested it conservatively. Right now, Lending Club lists my annualized return, adjusted for expected losses, as 10.1%. The IXRR calculator shows my annualized return as 6.88%. Lending Club computes the returns based on invested money only; IXRR takes into account that especially after you add a large sum of money to the account (like I have for the last two months), a good part of your money isn't earning any return; it is going through the process of being invested. It took over a month to get the money I deposited in February fully invested. At this time 1.6% of my loans are overdue. If I assume that I will lose all of that money (and Lending Club's statistics say that is an overly pessimistic view) it brings Lending Club's computation of my annualized return down to 6.68% and the IXRR return down to 4.26%. This is another peer-to-peer lender. I invested money in November, February and March. The money in November and February was invested agressively; that from March, conservatively. Right now, Prosper shows my annualized returns as 15.15%, but that is not adjusted for late notes, and Prosper cautions that rates on notes less than ten months old may not be meaningful. In short, those notes have not had time to default, but may be on their way there. Right now 1.3% of my notes are overdue. My IXRR return is 10.9% without taking late notes into account. Assuming all that are late will be lost, my IXRR return is 4.42%. This is part toy, part investment. I deposited $5,000 to invest in stocks. So far I've invested $1,000 in a "motif" or group of stocks that have a high dividend yield. So far the motif is up but I've only owned it a couple of weeks so it is only up $5.72. I'm still looking for the right place for the other $4,000. The only non-inheritance money we were able to invest this quarter went into our 401(k)s but we did not have to use our savings for anything, so I count that as a win. That may not hold for the second quarter as we have car insurance and summer camp to pay for, neither of which is cheap. Using the eyeball method of averaging, it looks like our investment returns overall were about 2% this quarter, which, while it won't make us rich, is a good steady return. The financial world is more complex than ever, and people are struggling to make sense of it all. If you’re like most people moving into the phase of life where protecting—as well as growing-- assets is paramount, you’re faced with a number of financial puzzles. Maybe you’re struggling to get your kids through college without drawing down your life’s savings. Perhaps you sense your nest egg is at risk and want to move into safer investments. Maybe you’re contemplating downsizing to a smaller home, but aren’t sure of the financial implications. Possibly, medical expenses have become a bigger drain than you expected and you need help assessing options. Perhaps you’ll shortly be eligible for social security but want to optimize when and how to take it. 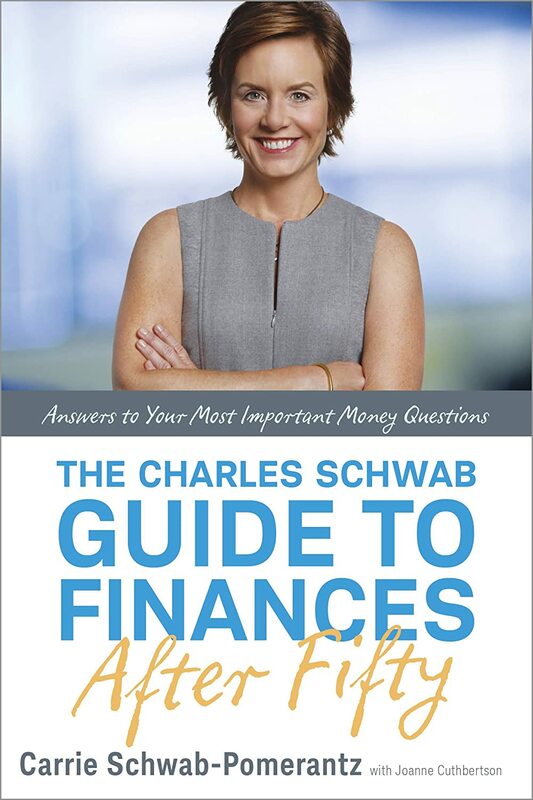 Carrie Schwab-Pomerantz and the Schwab team have been helping clients tackle their toughest money issues for decades. Through Carrie’s popular “Ask Carrie” columns, her leadership of the Charles Schwab Foundation, and her work across party lines through two White House administrations and with the President’s Advisory Council on Financial Capability, she has become one of America’s most trusted sources for financial advice. Here, Carrie will not only answer all the questions that keep you up at night, she’ll provide answers to many questions you haven’t considered but should. Over the years I've reviewed a lot of books on personal finance. Some have been well-written; others, not so much so. Nevertheless, they have all pretty much been variations on a theme--spend less than you make, save for the future and make wise investment choices. While this book says all of those things, it says so much more. Yes, I'm over fifty. I've worked more years than I expect to continue working. I'm seeing people who were middle-aged when I started with my current firm retire,and people a few years older than me move into management. My children are almost grown, my house is paid for, my parents are no longer with us. My 401K balance is substantial, at least compared to what it was for many years, and the contributions are bigger than they ever have been. My husband and I both consider our jobs to be pretty stable, but neither one of us expects to make substantially more money than we are making now. In short, we aren't young adults anymore; we have reached middle-aged success and we are making plans for the next phase of our lives. Planning for that stage is what is addressed in this book. The book is divided into five parts: I) When Retirement is at Least Ten Years Out II)Getting Closer: Transitioning Into Retirement III)Life in Retirement IV) Maximizing Social Security and Medicare V) Estate Planning and VI) The People in My Life. Each chapter is arranged in question and answer format and addresses such questions as "I'm too busy to manage my money carefully. Are there any simple strategies for someone like me", "My kids are grown, do I still need life insurance?" "Can I lower my income tax bill now that I am retired" "When should I file for Social Security benefits?" "I want to create an estate plan. What do I need?" and "I have a child with special needs. What can I do to make sure she will always be taken care of?". The advice given seems sensible and lays out options with which I was not familiar. For example, there is a section on annuities. In general, the things I've read other places about annuities made them seem like products to avoid. Carrie Schwab-Pomerantz describes annuities, the needs they can meet and the times it is appropriate to buy them. She also gives a good description of your options when it comes to Social Security, but sensibly advises you to seek individual professional advice. Most financial planning books go quickly to the discard stack. This one is going into the "keeper" folder on my Kindle. I may even spring for a hard copy. Grade A. One thing I treasure is children. They are precious because they are made in the image and likeness of God. They are the future of our society and one thing you realize as you grow older is how soon these little ones grow up. Another thing you learn as a adult is how schools serving the poor are often schools with high needs and limited budgets. Teachers have good ideas about how to reach the students but there are no funds available in the local budget to implement these ideas. 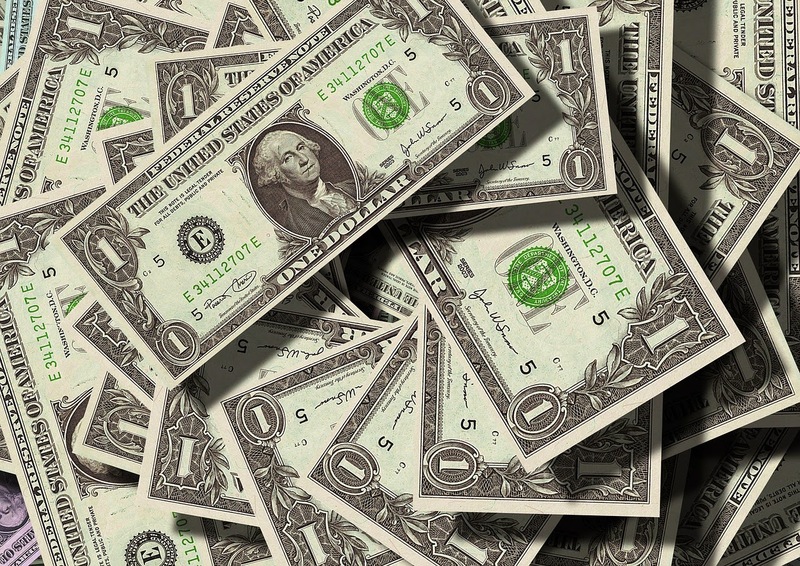 School systems are starting to hire grant writers who put together packages to compete for corporate or chartiable grants worth tens of thousands of dollars to cover large-scale implementation of programs or technology upgrades. Still, many of the things teachers want to implement do not cost thousands of dollars; only hundreds--a sum most teachers are unwilling to cover out of their own pockets (and I'm certainly not suggesting that they SHOULD) but not enough to make most grant programs worthwhile. That is where Donorschoose.com comes in. It is an on-line crowd-funding source for public school teachers. Teachers tell potential donors what they want for their classrooms and what it will cost. Donors can choose projects to support and how much to give. While my daughter is not in public school I have given small donations to a couple of projects from local schools that caught my eye. Like most other people, I have questioned how well local schools spend money. The beauty of Donors Choose is that I can decide whether I think the project is worthwhile before supporting it. If I think it is a waste of money, I move on to the next request. Join me in supporting worthwhile projects to help the next generation. I never realized I was part of the upper middle class a/k/a the "mass affluent" but this article says that I am. I've been looking at a lot of different types of investments lately, and this one, target-date bond funds, was new to me, but it looks like something I need to investigate further. Have you read anything interesting lately? Leave us a link so we can read it too. You are here today because your ancient ancestors cooperated to survive a brutal environment with life threatening predators. That herd mentality backfires when investing. Can you overcome your instincts to sell low and buy high with the rest of the crowd? Read a few paragraphs of Dale Buckner's book and you too can profit from the mistakes of others. About the Author: Dale Buckner has spent his 25-year career as a financial planner helping people avoid the mistakes that wreck most financial plans. He has the academic credentials: a BS, MBA, the designation as a CERTIFIED FINANCIAL PLANNER™ Practitioner and an Accredited Investment Fiduciary®. Dale helps clients achieve their financial and personal goals using Life Stage Planning, an advanced form of financial planning he developed with the help of the CERTIFIED FINANCIAL PLANNING® course work. I enjoyed this book. I liked the way Buckner started it by telling us that we are created by God, and don't have design defects. Buckner goes on to look at primitive societies to give us an idea of why we behave the way we do. 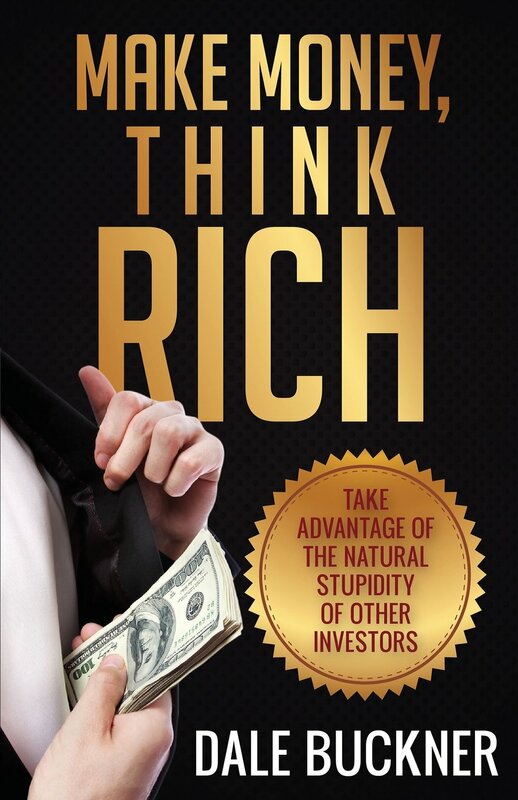 After that, it is a pretty basic guide to saving money and investing, but Buckner reminds us time and again that just because everyone is doing it (selling, buying, whatever) is no reason for us to do it. Rather, we need to make a plan and stick to it. While I can't say there was anything earthshaking in this book, it was a good little pep talk on making a plan and sticking to it. While market cycles were discussed, there were no long technical explanations of how to predict them or beat them, just encouragement to stick with the plan.